Ford is introducing a new Mondeo Sport special edition which adds £2000 worth of extra options and will be limted to just 3000 customers. Available from September 1 2010 it's priced at £18,795 for the 2.0-litre 145bhp petrol version and £19,495 for the 1.8-litre 125bhp TDCi diesel. Based on the Zetec trim, extras include a satellite navigation system covering Europe, automatic headlamps, rain-sensing wipers and a self-dimming rear view mirror. It also gets 17-inch alloy wheels, front and rear parking sensors and a solar reflect windscreen to keep the cabin cool in bright sunshine. 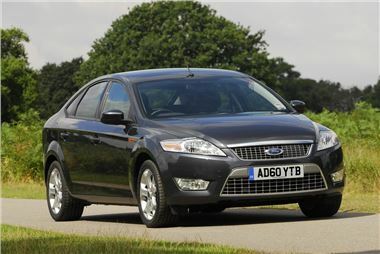 Jon Gunn-Smith, Ford large car product manager, said: "Mondeo Sport represents the outstanding value typical of all vehicles sporting the Blue Oval badge. It will be on sale for a limited period during the lifetime of the new '60' plate, so interested customers should get in quick." The new Ford Mondeo Sport is available in four colours - Frozen White, Panther Black, Sea Grey, plus Moondust Silver and will go on sale in five-door and estate bodystyles.